Hey, leprechauns. Can't pinch this! 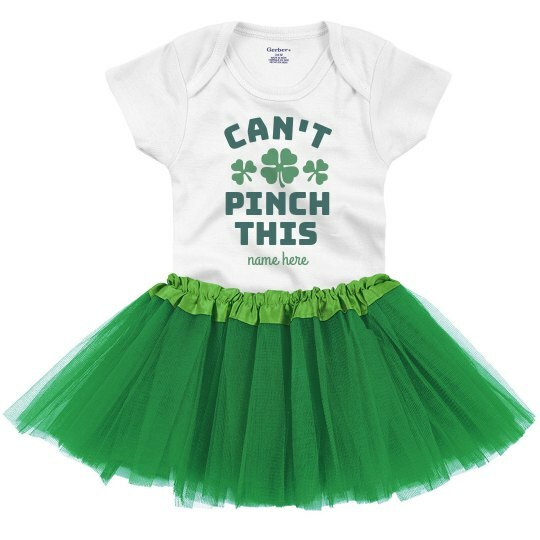 Customize an adorable tutu onesie 2-piece set for your little baby girl to wear this St. Patrick's Day. Customize the body of this outfit by adding a custom name. This precious outfit will be the perfect look for all of your St. Paddy's Day shenanigans.